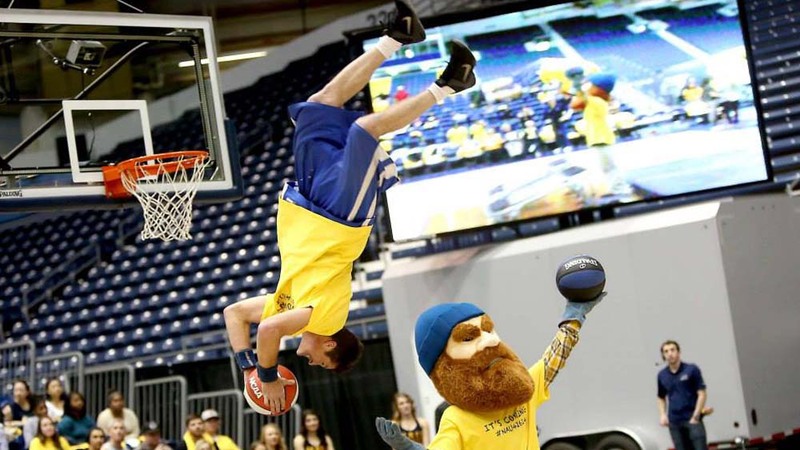 Make your next basketball halftime show, corporate or school event a slam dunk with the TNT Dunk Squad! 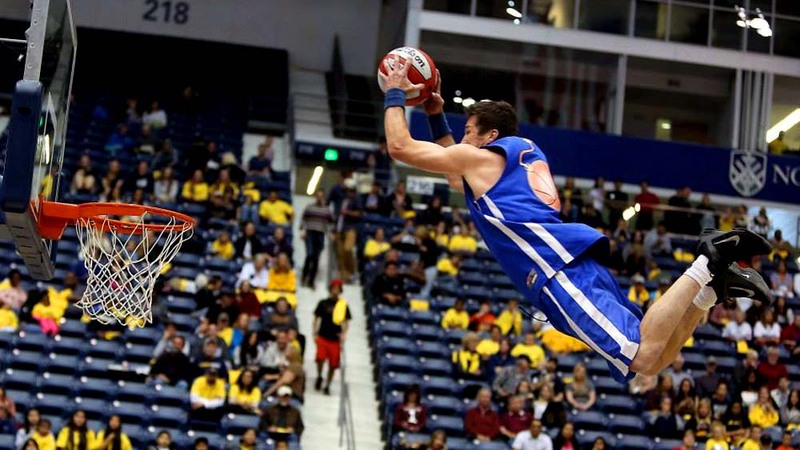 The TNT Dunk Squad is a crowd favorite at the Clippers Games! 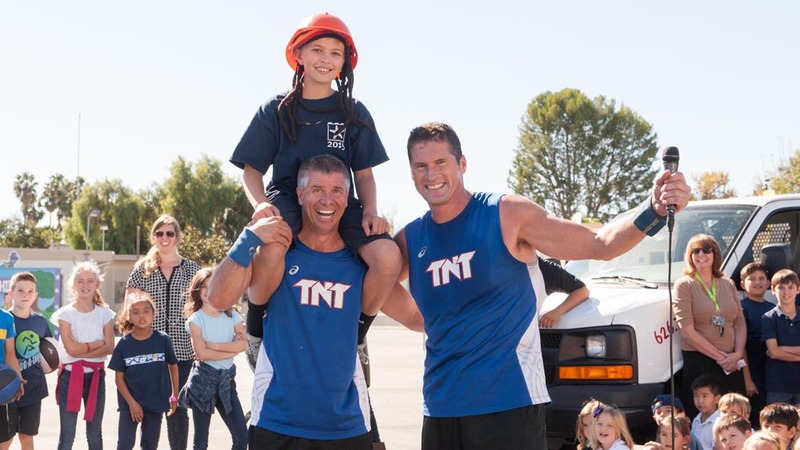 The guys are awesome to work with and they always deliver a great show! 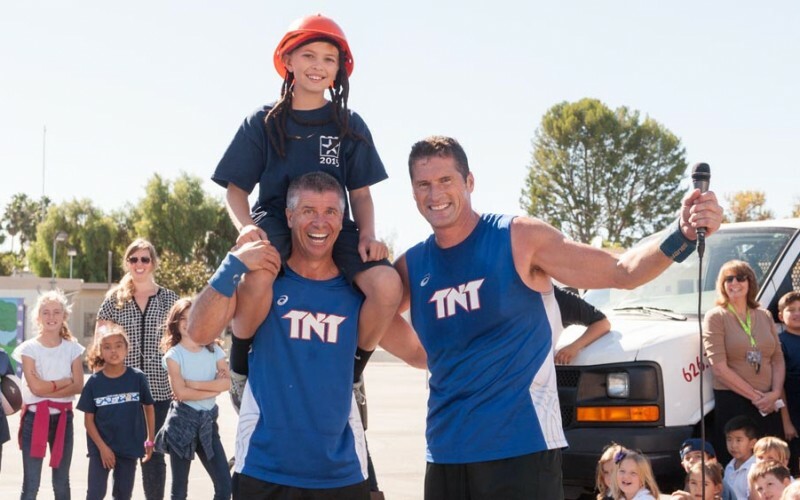 You guys were AWESOME! 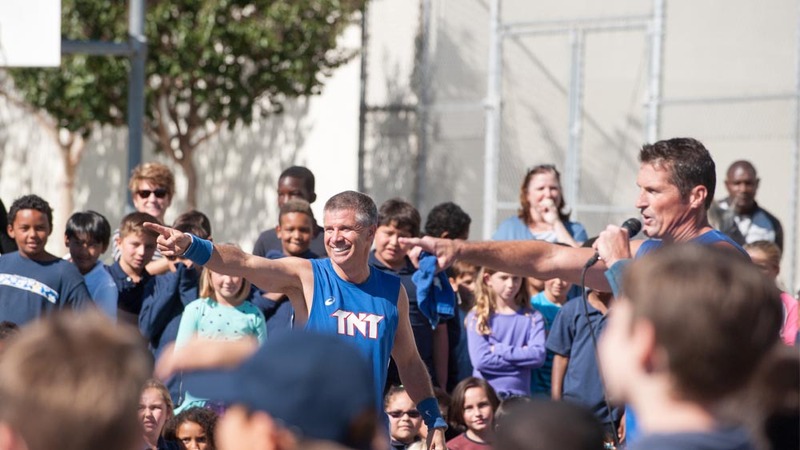 Your energetic performance and motivational speeches truly inspired our students. 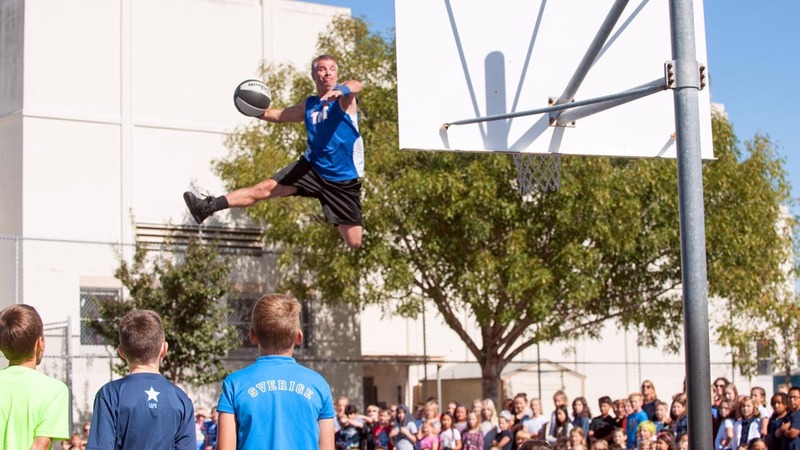 Thanks for being so professional and bringing a positive message to our school! 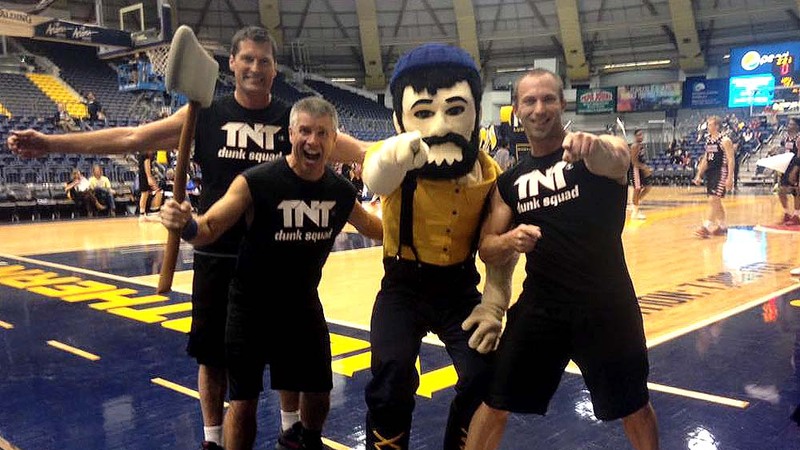 The TNT Dunk Squad brought our crowd to its feet – these guys are the bomb!! 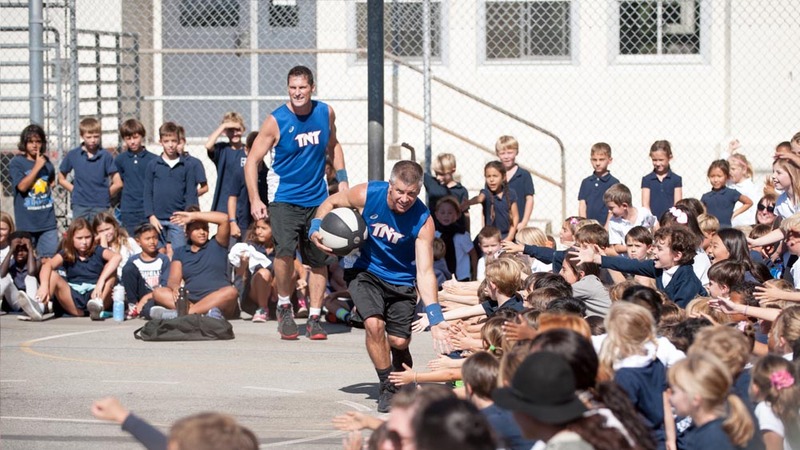 TNT Dunk Squad has inspired numerous corporate groups with their electrifying teamwork. 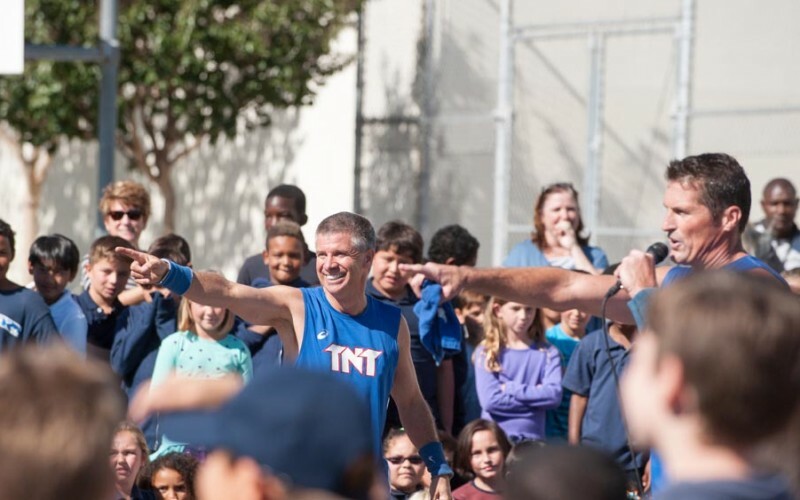 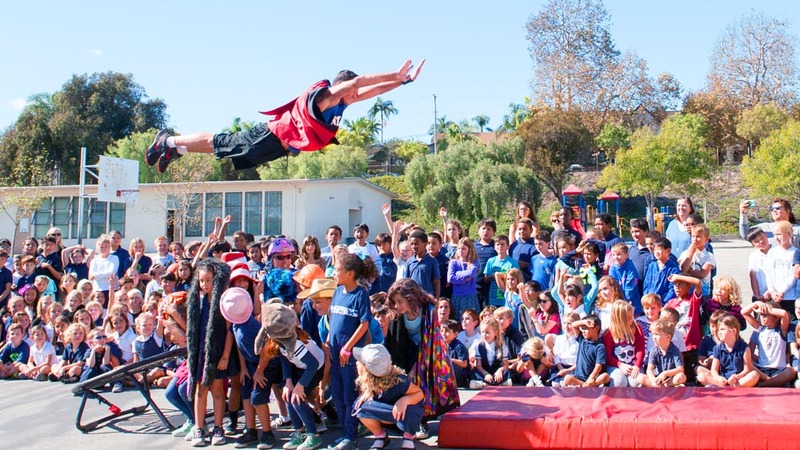 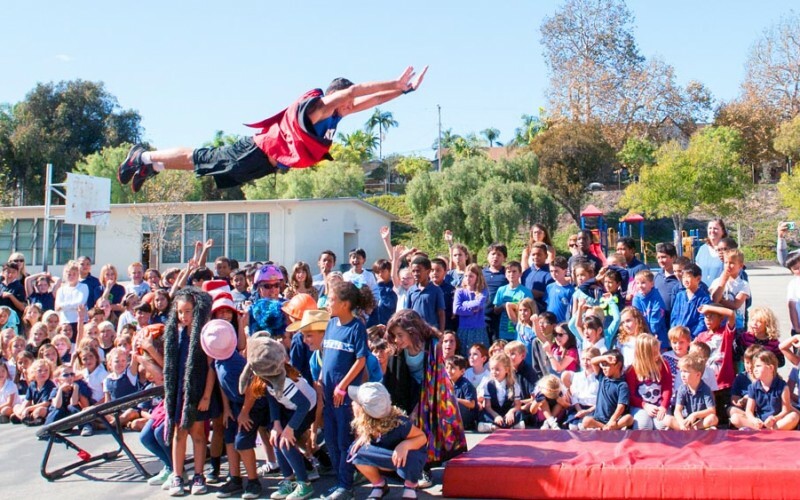 Make your next school assembly a Slam Dunk with TNT Dunk Squad! 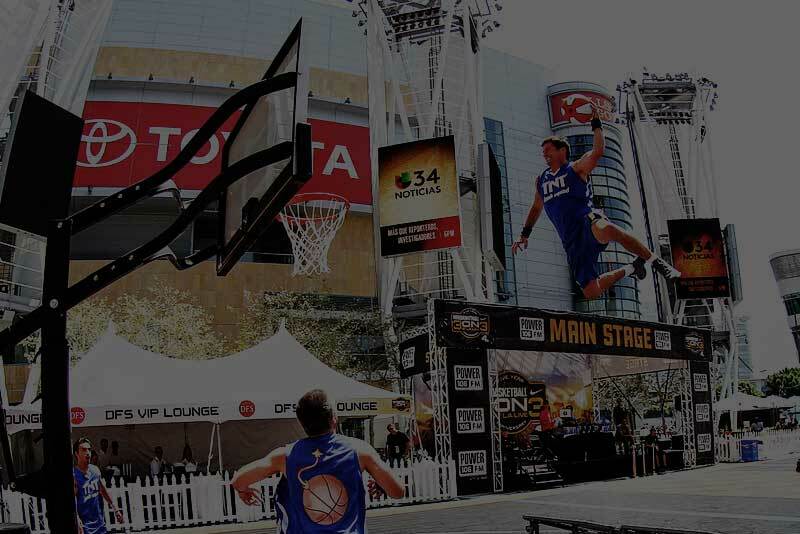 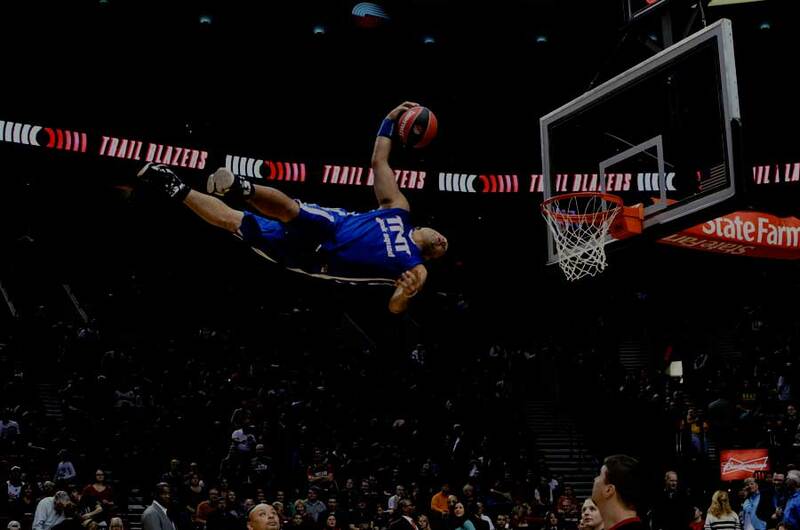 TNT Dunk Squad has rocked hundreds of NBA and NCAA halftimes worldwide. 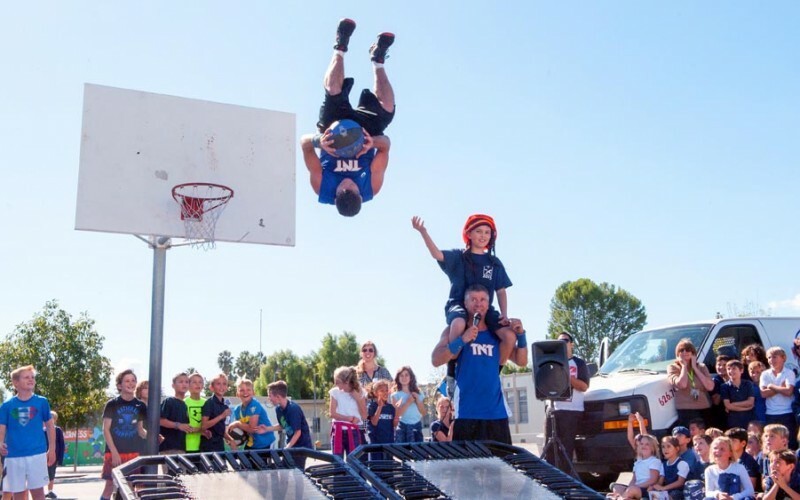 TNT Dunk Squad can rock your next fair with an electrifying performance for all ages! 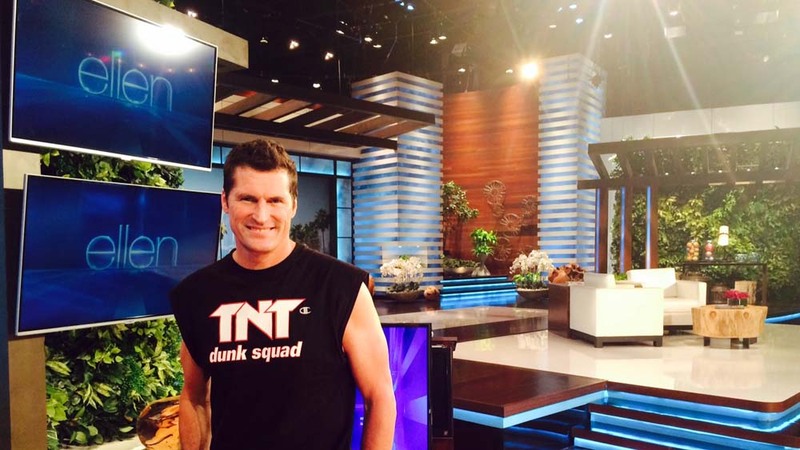 The Dynamite Dunks visit The Ellen DeGeneres Show! 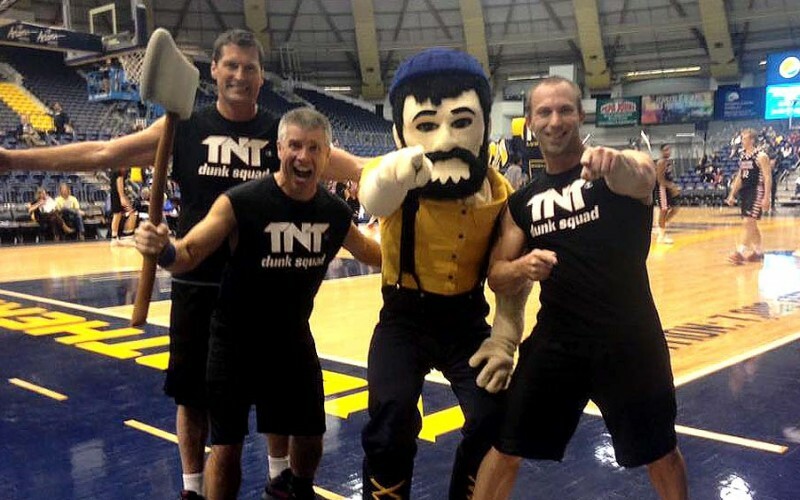 TNT Dunk Squad Flips Out! 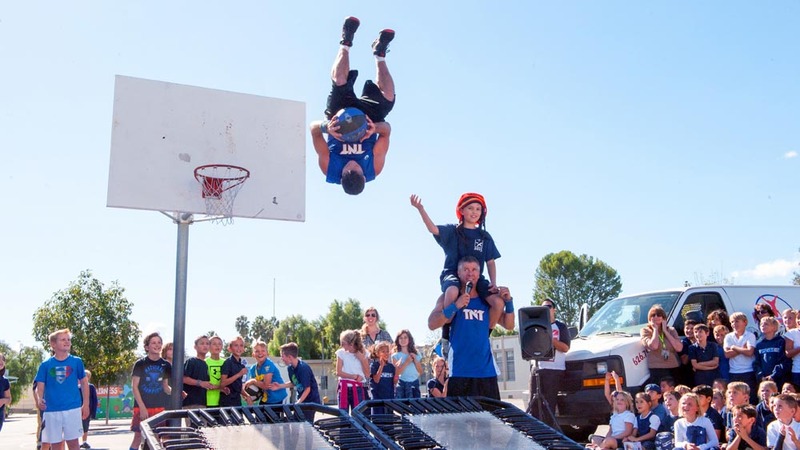 Keith Cousino and Brian Smith have been entertaining millions with their acrobatic slam dunk performances for almost 2 decades. 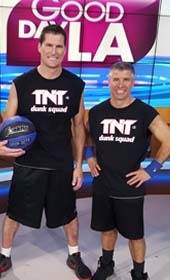 Both former members of the world renowned Bud Light Daredevils, they have combined forces to form the TNT Dunk Squad. 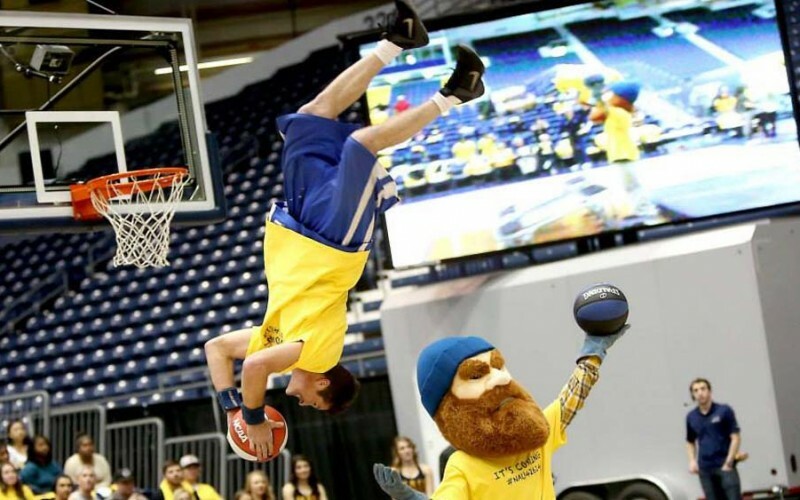 Brian is a graduate of Springfield College along with being the captain of the men’s gymnastics team. 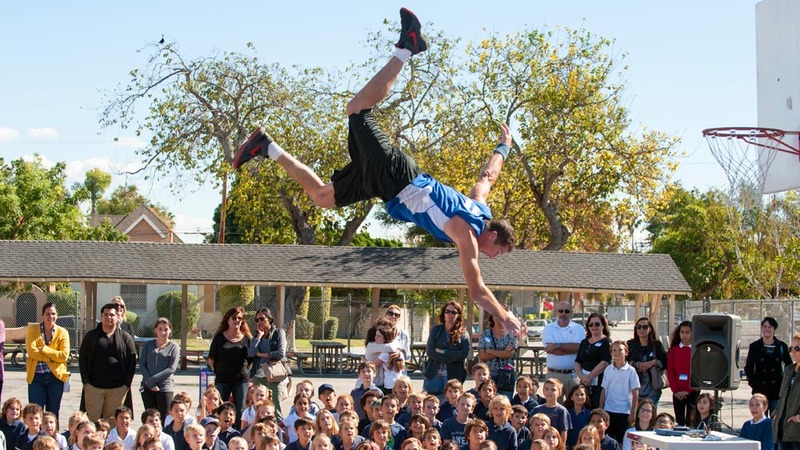 While there Brian earned many accolades: 2-time MVP of the gymnastics team, 3-time All American, 2-time Athlete of the Year, and he represented the United States in several international competitions. 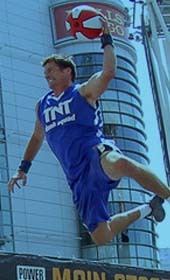 After moving to California, Brian pursued stunt and commercial work and eventually secured a spot on the Bud Light Daredevils. 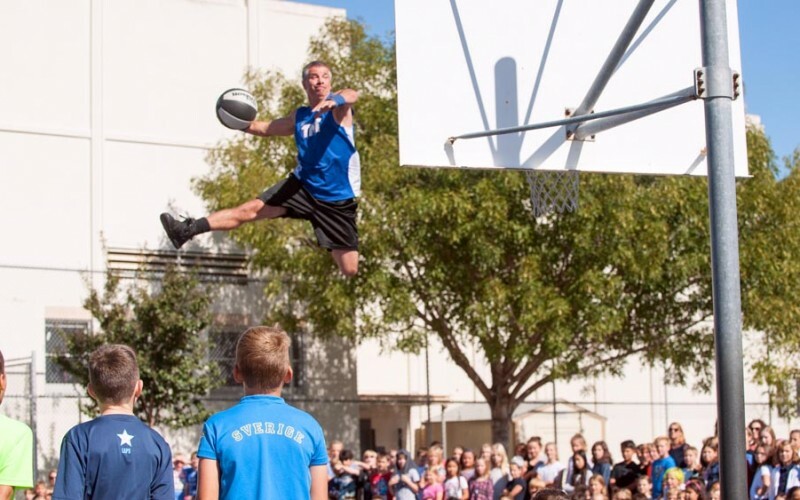 Brian traveled throughout the world performing acrobatic basketball routines at every conceivable venue. 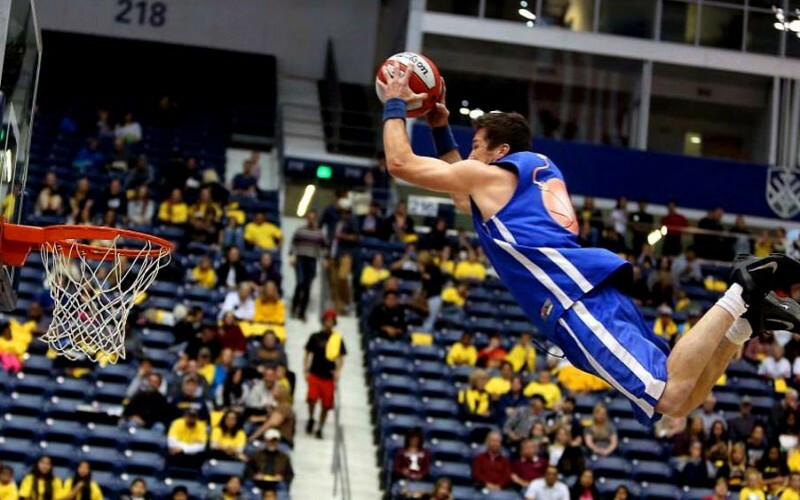 Brian currently owns a gymnastics facility in Pasadena, California, along with performing and managing the TNT Dunk Squad. 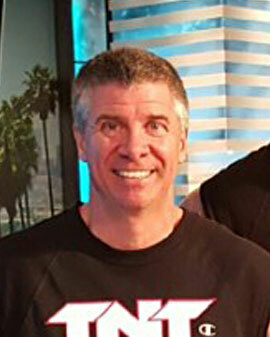 Keith has been involved in gymnastics most of his life. 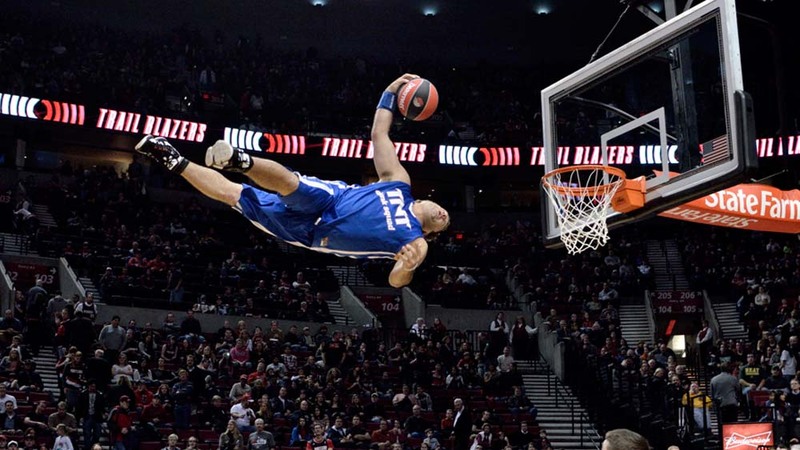 By the age of 15, he was competing internationally as a member of the U.S. 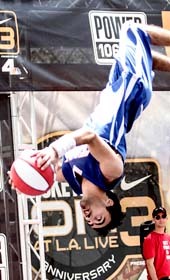 Junior National Team. 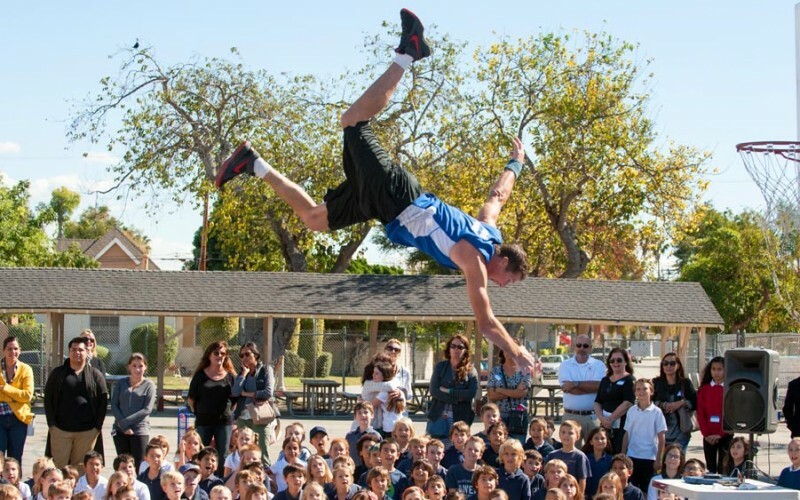 He went on to become the captain of the men’s gymnastics team at the University of Iowa. 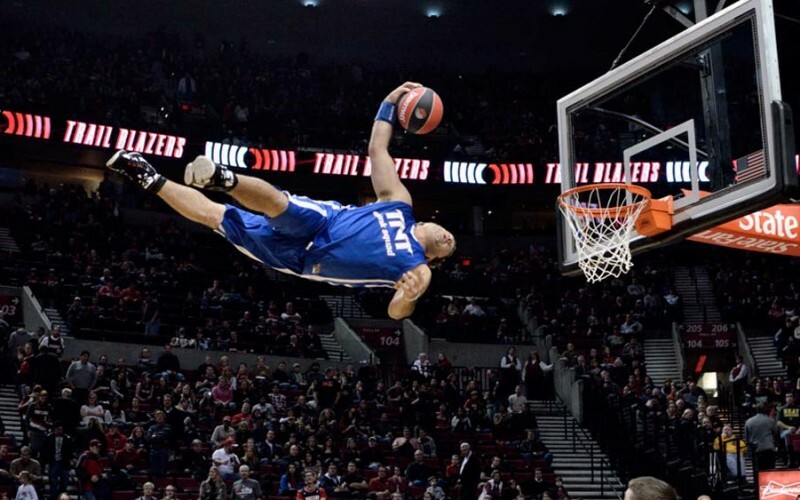 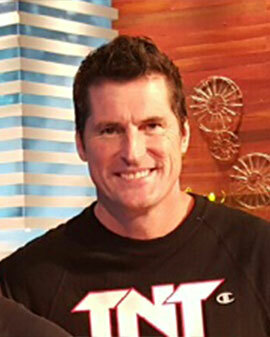 His innovative gymnastics and trampoline skills, along with his worldwide performing experience has made Keith one of the most exciting and consistent performers in the world of slam dunk entertainment.